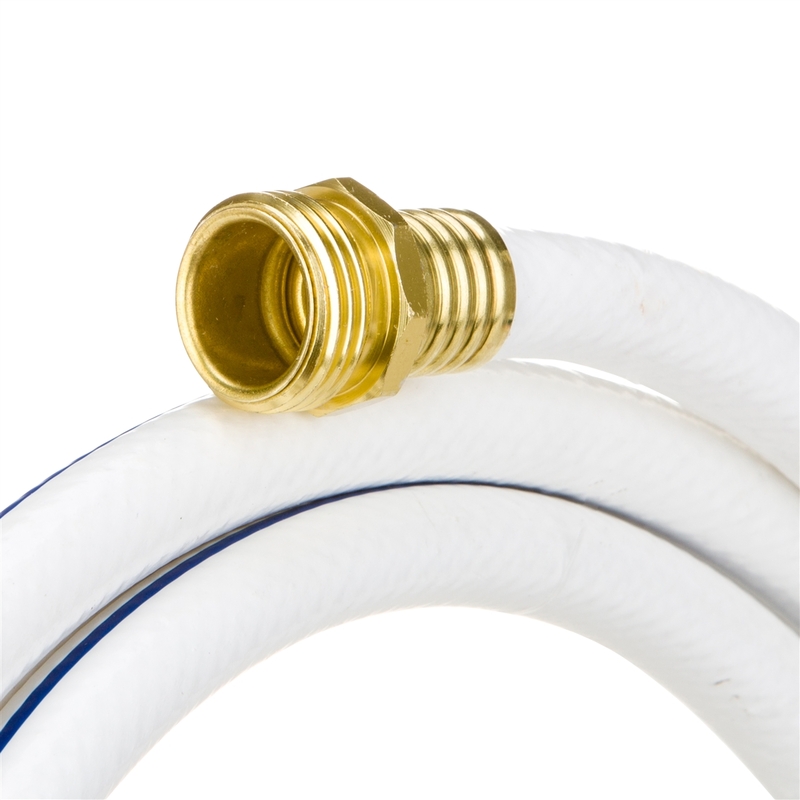 A short water hose is a must for those tight spots on your RV or marine vehicle. This 4-foot garden hose from RV & Marine has a limited lifetime warranty, and it is durable enough to handle everything from tough cleaning jobs to providing drinking water. A 4-ft. RV water hose such as this one is extremely versatile, and it packs a lot of power into a compact package. The hose has a 300-PSI burst strength, which will give you adequate pressure for cleaning your boat or RV, and the hose's flexibility makes for easy storage and transport when you're done. A hallmark of this 4-ft. garden hose is the aluminum couplings, which are aircraft-grade. 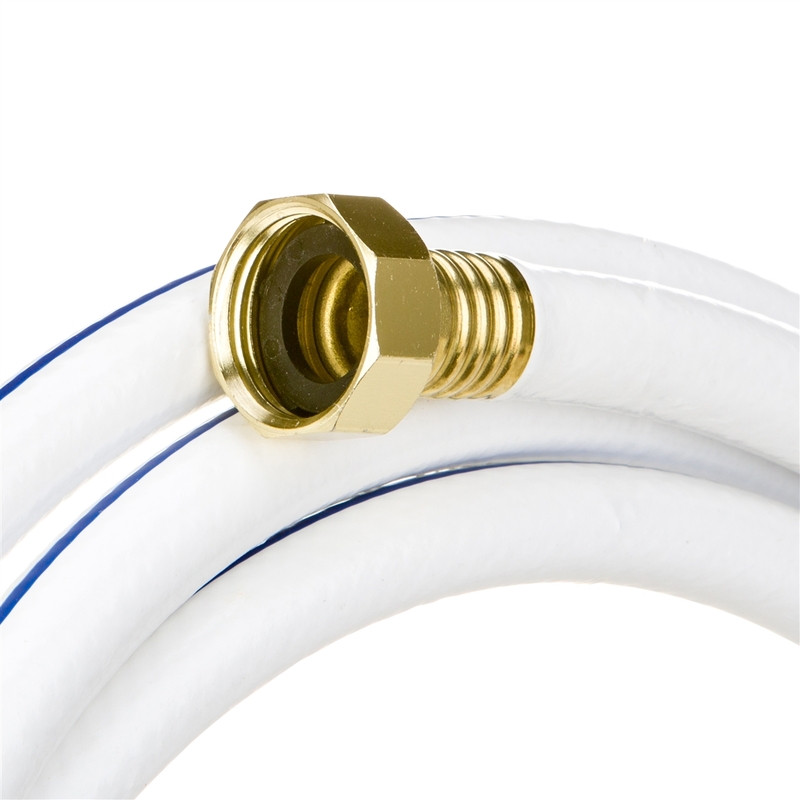 RV & Marine also uses patented Hose Armour, which allows your new 4-ft. water hose to resist kinks at the spigot. It meets the strict requirements of the Federal Safe Drinking Water Act, and the hose is priced at less than what similar hoses retail for. Better quality at a lower price can always be found at Swan.